OSU Extension – Building better lives, better businesses and better communities since 1914. Welcome to an election year. As bad as the television ads are, I feel even more inundated with political messaging on Facebook. Although I rarely watch television these days, political messaging is seemingly everywhere during an election year and it is not going to let up between now and November. One of the staples of the political messaging tool-kit is the poll. Polls are, among other things, an attempt to record people’s opinions. They can be done a number of different ways, and some of them are more accurate than others. One of the biggest differences between a poll and a survey is in the way the sample, or the group of people who are asked the questions, are found. Surveys are often used for longer term projects, and therefore require a very careful statistical analysis of the group of people you ask your questions. Polls, on the other hand, are designed to ask groups of people the same question or two and crunch the numbers quickly so that you can measure change over even a short period of time. That makes them ideal to measure who is favored to win an election. Usually, election polls are expected to be accurate within a three percent margin of error. So what went wrong in Michigan’s presidential primary last March? There, Clinton was favored to win by a large margin of between 11 and 37 points depending on the poll. Instead, Sanders won. Not by much, but by enough to make people question the veracity of polls in general. The problem with polls is who is getting asked the questions. Let’s go back to the Michigan example. Reputable polling companies (Gallup being the best known) follows federal law, which stipulates that only landline phones can be called with the poll questions. That law is rooted in the technology and cellular plans of the nineties when people only got a few minutes of cell phone calls a month and did not want to spend them on political polls! But what worked in the 1990s and early 2000s does not work in 2016 when many people gave up landlines for unlimited cellphone talk time. Restricting polling to landlines means that pollsters are going to be literally unable to reach a significant chunk of the population. Fortunately for those conducting research, this is changing. In fact, more than a third of households no longer have landlines. But part of what makes this so skewed is which households those are. In a 2013 study by the Centers for Disease Control (CDC), 61% of rental homes do not have landline phones and 45% of homes with children do not have landlines. By not polling people who only have cellphones, you are automatically skewing your data by not reaching a proportional number of younger people, families with children, or those who rent. All of these are demographic groups who were more likely to vote for Sanders in the primary. The second problem with the Michigan Poll was also related to who was asked. The poll in question was targeted to registered Democrats. While that sounds fine in theory, the fact of the matter is that a lot of people are registered with a political party and yet haven’t voted in the last election for a variety of reasons. Changing party registration can happen right at the poll, so getting a list of registered voters or registered members of a party does not mean that they are likely to vote in any given election, even a presidential primary. A better solution is to instead look at recent voters, people who voted in the last election, or in two of the last four elections. This way you hopefully manage to avoid the people who are registered, but don’t bother to go to the polls. So, there you have it. Some of the concerns about the numbers you see in polls and why they might not reflect what actually happens when people vote. Keep these in mind as you hear the latest polling data leading up to November 8th. And remember, a poll or a survey’s “generalizability” is only as good as the sample. Or as is so often the case, you get out what you put in! Laura Fuller is a County Extension Educator (Noble County & Buckeye Hills EERA). Ohio’s ag industry as a key driver of continued economic growth in Ohio and across the region? Representative John Patterson (99th Ohio House District) thinks so. He recently shared his enthusiasm for Ohio’s agricultural industry as a key growth sector for the Ohio economy. Others in the northeastern part of the state have a similar enthusiasm as well. Recognizing the importance of the agri-business industry, the Ohio Sea Grant College Program and Ohio State University Extension partnered with Lake County organizations to carry out a Business Retention and Expansion (BR&E) Program. Local partners included: the Lake County Soil and Water Conservation District, Lake County Development Council and Ohio Farm Bureau. As a result of this local applied research effort, the local partners and other community leaders are better able to assist ag-focused businesses in the area to achieve their growth objectives and to improve the overall business environment for Lake County’s agri-business industry. Twenty-three businesses plan to expand, modernize or renovate their businesses; six of them plan to hire additional employees within twelve months. These firms will add between 53-150 new full-time equivalent jobs. 150 additional new jobs in Lake County could generate an estimated $155,551 in additional income tax revenue and could contribute an additional estimated $1,137,700 in personal income to the Lake County economy. Establish and maintain long-term relationships among public and private entities associated in some way with Lake County’s agri-business industry. 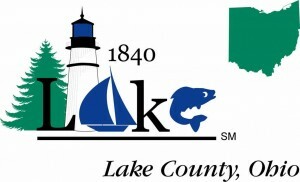 Click here to read more about the Lake County program or to view the final report. Click here to learn more about the Ohio BR&E Program. Joe Lucente is an Associate Professor and Extension Educator for the Ohio Sea Grant College Program and Ohio State University Extension. Research says 80% of organizations think rewarding employees is important. However, the number one difficulty in doing so comes down to money. And not in the way you might think. More challenging than the seemingly short supply of financial resources to compensate employees is actually assigning a price or value to an employee’s work or production. In short, it is a real struggle to quantify in dollars a compensation that truly represents actual employee value. When it comes to rewarding performance, there are three key factors: money, priority, and culture. Money… as we all know, it can be quickly spent and any short-term motivating effects forgotten. Other rewards or incentives… whether an organization is working with volunteers or paid employees, these are typically low organizational priorities. Culture… many organizations believe that people are simply expected to do their jobs and do them well. A performance reward system that leads to strife and division is not a good system. 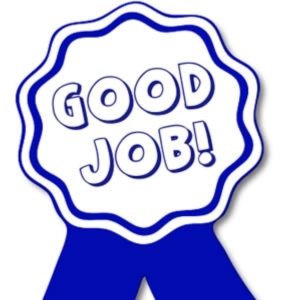 What are the best practices for incentivizing and rewarding employees and volunteers? According to the research, use of non-monetary incentives has lasting power and the highest impact. Consider, for example, the non-monetary tangible variety (such as gift cards) or the non-monetary intangible variety (such as volunteer of the month with a special parking spot by the door). Where might you start? One of the first things you can do is identify what sorts of behaviors, practices and performance you want to reinforce. Then, focus on learning what motivates people in your organization. Maybe collaborating with others on a project or achieving a lofty goal are the behaviors you want to reinforce. Or perhaps, you want to encourage long-term volunteer service? Each of these are recognized and celebrated in different ways. Whatever method is ultimately chosen, consistency and fairness are the keys to a successful and results-driven reward. How can you get creative in reinforcing the most desirable behaviors and performance in your organization? Cindy Bond is an Assistant Professor and County Extension Educator (Guernsey County & Crossroads EERA). 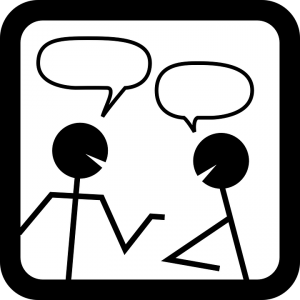 Pivotal Conversations: Will you have one today? In the title of this message, I have posed an impossible question. I have asked you to somehow determine, in advance, whether or not you will engage with someone in a conversation today that may change a life… theirs or yours! So why would I ask an unanswerable question? Well, it’s to challenge you to think, and to be more engaged in our everyday interactions. Here’s my contention: any one of us may have a pivotal conversation at any time; but we may or may not recognize it at the moment. This happened to me a dozen years ago when I nearly left Extension after my application for promotion from Educator II to III was voted down. I felt like a failure; and I decided I must not be cut out for Extension… an organization I had grown to love. But one evening at 4-H Camp Graham, Jeff King took a little bit of extra time to talk with me, explain the disconnect, and share a personal story that was similar to mine. That pivotal conversation changed the course of my career. In Urban Meyer’s book, Above the Line, he presents Jack Canfield’s idea of E+R=O. An Event happens, we Respond, and the Outcome results. Jeff King had my “event” land on his doorstep. He responded, not just because it was his job, but with care and insight and attention. That changed my “outcome” and indeed my life. So we may not know when a pivotal conversation is coming. But join me and let’s challenge ourselves to step-up our game, to be more present in conversations, to be a more active listener, and to truly give attention. I often struggle. But by keeping it in the forefront of my mind, I will hopefully improve and be able to help others as I have been helped. Please take a moment and think about a pivotal conversation you have had. Then challenge yourself to be on the lookout for opportunities each and every day. Brian Raison is an Assistant Professor and Extension Field Specialist for Community and Organizational Leadership. Subscribe to receive new posts in your inbox! Government shutdowns . . . What about them?